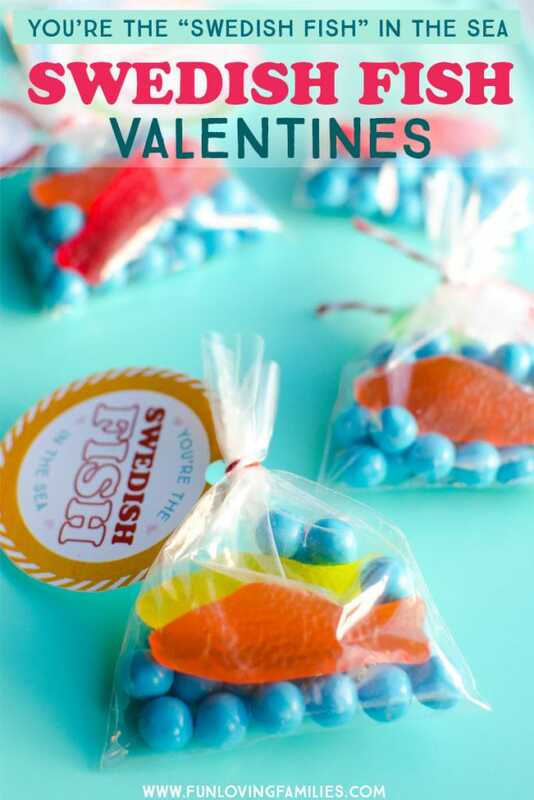 The kids will love these Swedish Fish Valentines. Use our free printable for a cute and easy classroom valentine to share. Who doesn’t love a good candy pun for Valentine’s day? 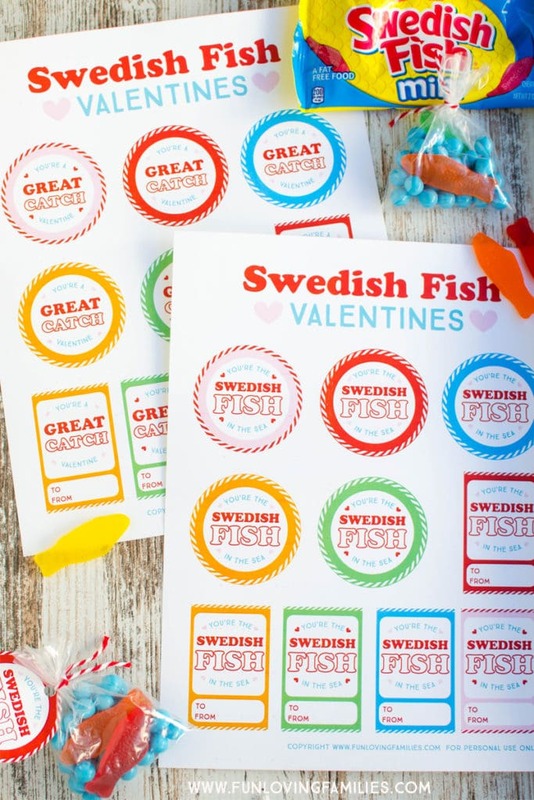 These adorable Swedish Fish Valentines have been in the works for years. Partly because I love these little gummy candies, and partly because when I have an idea, I just have to see it through. In fact, true story, when my daughter saw the box of Swedish Fish on the counter she blasted out, “Swedish Fish? Are those for Valentine’s day again? Isn’t this like the 4th year?” She was so incredulous, it was hilarious. It’s true, I’ve been trying to push these Swedish Fish Valentines on the kids for years, usually along with some other options. They always choose the other options. Am I beating a dead horse? Maybe. But only because I always knew how great these could be. And this year, I finally pulled it off! Sadly, my oldest is no longer in the years of sharing classroom Valentines. But, as soon as my youngest daughter saw the little fishy bags of candy, she was all in! These are so cute when they’re all put together. It’s the little blue candies that make this a winner. 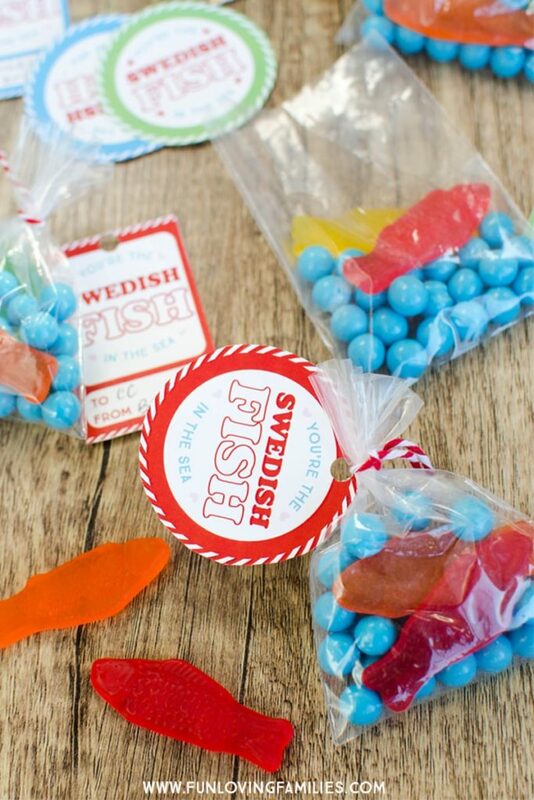 That being said, if you’re short on time you can make this a much easier candy treat to share by attaching the printable labels to little individual bags of Swedish Fish candy. 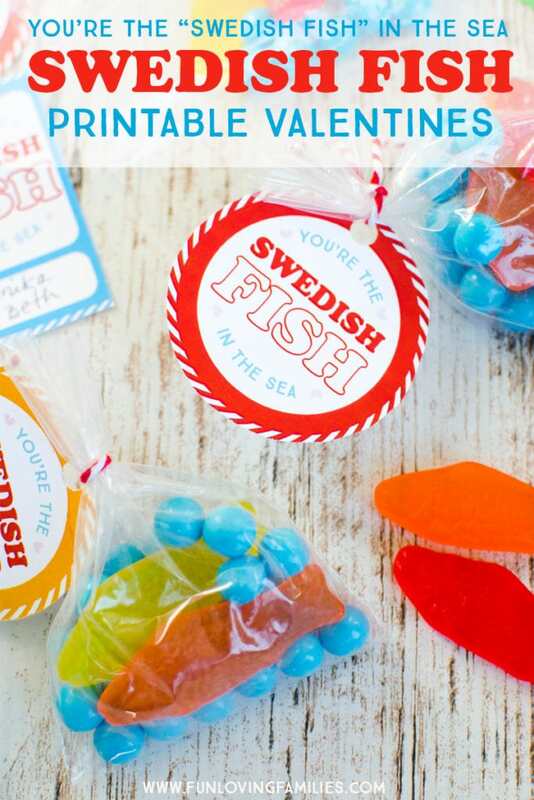 You can choose between two fishy puns for your Valentines: “You’re the Swedish Fish in the Sea” and “You’re a great catch, Valentine”. Just add a couple fish to the favor bag and pour in some blue candies. Tie the bag at the top with your Valentine tag attached. Kids can add their names on the front of the rectangle tags, or the backs of the circle tags.